The International Budo Institute is happy to announce a training symposium at the Taiikukan dojo in Niigata, Japan. The training session will be from 18-July-2016 through 22-July-2016. All interested parties are welcome to come and participate. The symposium is open to all practitioners of Shorinjiryu and members of The Institute. TRAINING: There are three (3) training sessions per day: morning (2 hours), afternoon (3 hours) and evening (2 hours). Participants will be able to train for 35 hours in total in polishing their techniques. COST: The cost of the training symposium is $250 US. Participants must make their own arrangements for travel to the venue. HOTEL: A hotel has been reserved on a first come first served basis. The hotel is located 5 minutes from the dojo and is a traditional Japanese hotel. The room rate is $80 US per night and includes 3 meals each day. 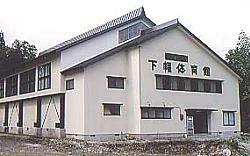 The hotel is located at: 656 Ubashima shinden, Minami Uonuma, Niigata, Japan. EQUIPMENT: The dojo will make every effort to provide equipment for the participants. However, participants are encouraged to bring their own equipment. Please note that only Japanese Iaito (Japanese made training swords) are allowed to be brought into Japan and you will be required to show proof or origin. Participants should bring their Karate Gi and Kendo training jacket along with a pair of blue or black Hakama. For new students we may arrange to have these available at the venue upon your arrival.